Celebrating its 50th anniversary as a band in 2018, NAZARETH is marking the occasion with a hard-rocking new album, "Tattooed On My Brain". Scheduled for release on October 12 via Frontiers Music Srl, the effort will be available on CD, LP, and digital formats. 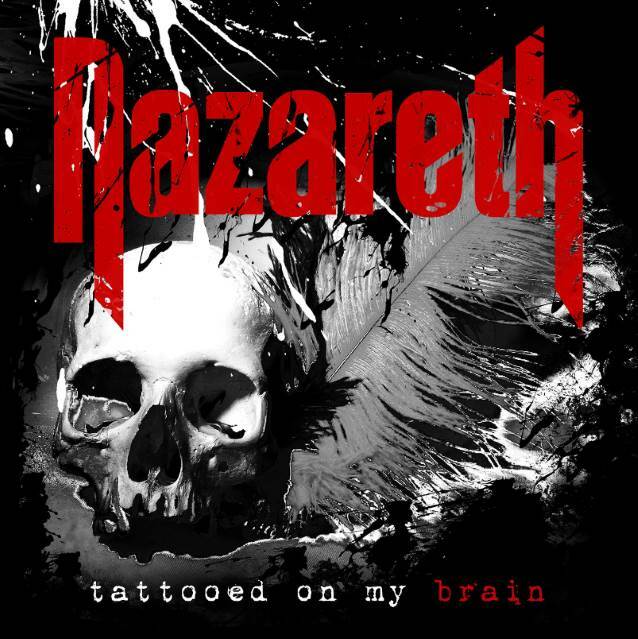 "Tattooed On My Brain" is NAZARETH's 24th full-length album and the first to feature new vocalist Carl Sentance (ex-PERSIAN RISK). A track from the album, "Pole To Pole", can be streamed below. NAZARETH bassist and founding member Pete Agnew says about the new album: "What I know and expect is that this record, because of our new lineup, will come under the highest scrutiny of any record in NAZARETH's history and after that, hopefully be judged as one of the best of NAZARETH's career. "While there is always going to be hints of the classic NAZARETH sound on our albums, when you consider that all the musicians have been playing classic NAZARETH songs for most of their lives, what is fresh and inspired the new songs and new approach is the fact that we have a new singer: Carl Sentance. "You can change band members and still keep pretty much on the same road, but there is nothing that changes a band's approach so definitively as the sound, style and performance of a new frontman. It also influences the way the other guys write songs, because mostly when you write a song for the band, you have in mind whether it will suit your singer's style and how he'll sound singing it. And, of course, with Carl, we have not only a new singer but a great new songwriter as well, so the whole project was always going to be fresher than a new laid egg, given all these ingredients we had to work with. Tastes fantastic, by the way." While it is difficult to sum up in few words the history and the influence on the history of rock that an act like NAZARETH has had, there is no doubt that they have left an indelible mark. The band originally formed in Dunfermline, Scotland in 1968, releasing their eponymous debut album in 1971. The band broke through to a larger audience when, after supporting DEEP PURPLE on tour, they released the Roger Glover-produced "Razamanaz" album in early 1973. A string of hit records, including "Loud 'N' Proud", "Rampant" and their biggest success, "Hair Of The Dog" (featuring the smash hits "Hair Of The Dog" and "Love Hurts") followed, cementing the band's legacy in the history of hard rock. NAZARETH continued on throughout the '80s and '90s, making new studio albums and touring the world. In 2014, original singer Dan McCafferty had to leave the band for health reasons and with his blessing, Carl Sentance is now fronting the legendary band. 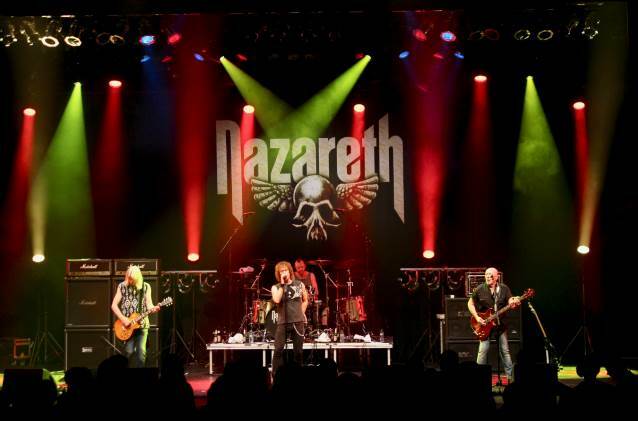 Rejuvenated and as energetic as ever, NAZARETH is back with an album that firmly shows their roots, but also sees the band progressing forward and seeing the future. The band has a wealth of tour dates commencing this Friday, July 20 and running through August, before picking up again in November.